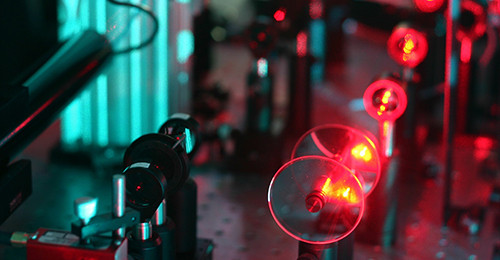 Photonics Solutions Group is an American Optics Supplier located in Albuquerque, New Mexico. Photonics Solutions Group provides an unmatched spectrum of optics, from deep UV to long-wave IR, addressing a wide range of markets including defense and homeland security, microelectronics, life and health sciences, industrial laser material processing and more. Photonics Solutions Group serves high precision optical markets around the world. We specialize in custom optics that are built to order and provide optics with extreme precision and custom coatings. Click Here to Download our Brochure! Photonics Solutions Group is a family-run business that works hard to maintain quality systems to provide you with the best optical components worldwide. Whether you need a a single optic or a high volume manufacturing run, Photonics Solutions Group is ready to quickly provide you with your quality optical components. Contact us today and let us show you excellent customer service and high quality optics. Photonics Solutions Group offers a wide variety of optical components and services ranging from standard off the shelf optics to high precision complicated optics and optical assemblies. Whether you require an uncoated substrate, coated optics or just coating services on your own substrates, PSG is your source. Please browse our categories and if you cannot find what you are looking for then contact one of our staff members.